How cute! Would love to win thanks! Thanks for all your hard work in helping us find some great deals!! Thanks for the chance to win this giftcard. Entered! Thanks for the chance! Great giveaway, love the site! 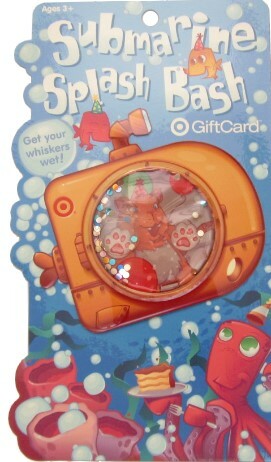 splish splash……my doggie needs a bath…..this card will come in handy for puppy shampoo…….. Thanks to Totally Target I have racked my family a great bunch of savings! 😀 Great Giveaway!! Thanks for keeping us informed of all the great deals daily. I just liked TT on FB , I had no idea you had one! Love these gift card giveaways!! Thank you so much! I like Totally Target – would love to win this card! I also Like you on FB! I love your blog as much as i love target.